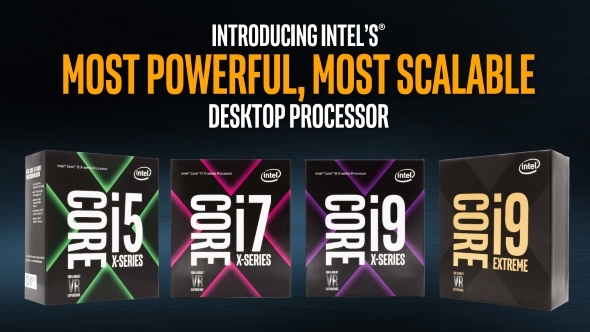 Intel’s 18-core, 36-thread Core i9 is going to be a huge success. Massive. You won’t believe what a success they’re going to make of their mega-core CPU. Huge. We don’t need detailed specificayshuns, or clockspeeds to know that, those are for snowflakes and the fake news media to worry about. Believe me, Intel’s Core i9 7980XE, is going to be the most good processor ever. 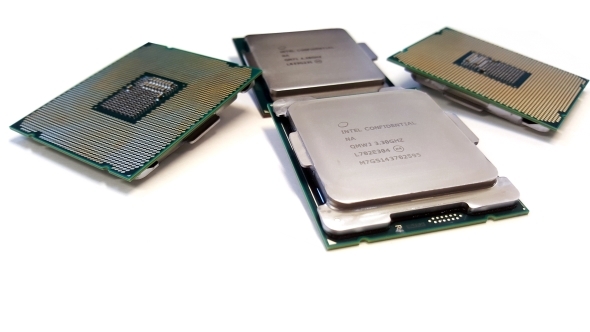 Read more: best CPU for gaming. They’re going to sell each one of their $2,000 CPUs, and that’s what’s going to make it such a success. I mean, obviously they’ll never actually tell anyone exactly how many they’ve sold, or indeed how many they’ve manufactured, but that hardly matters, right? As I mentioned in my review of the Intel Core i9 7900X, they’ve kinda backed themselves into a corner with the high Turbo clockspeeds of their inaugural Core i9. Scratch that, they’ve practically bricked themselves up behind the frickin’ fireplace. The 7900X operates with a heady 4.3GHz all-core Turbo speed out of the box, which makes it super-quick and one mighty impressive slice of Skylake-X silicon. The issue is that every other higher core-count X-series CPU has to fit in the exact same processor package in order to squeeze inside the X299’s LGA 2066 socket. And that means jamming another EIGHT cores into the same space. There’s no way – not with all that extra, hot CPU silicon crammed in there – that Intel will be able to run the 18-core i9 7980XE anywhere near the same 4.3GHz the 7900X is rocking. That’s become crystal clear from the scale of the fanfare that was the announcement of final specs for the upcoming 12-core, 24-thread Core i9 7920X. There wasn’t any. Instead, Intel quietly updated their price list with a few more key specs, including the base clockspeed of just 2.9GHz. There have been a few internetters waving away people’s concerns about this sub-3GHz base clock, saying that it’s practically meaningless without an accompanying Turbo clockspeed. There’s a nugget of fool’s gold in that, because (potentially down to the success of the new mesh architecture) the Skylake-X CPUs have been blessed with much higher relative Turbo speeds, compared with their base clocks, than in previous generations. And that’s just from sticking another two cores into the CPU package. 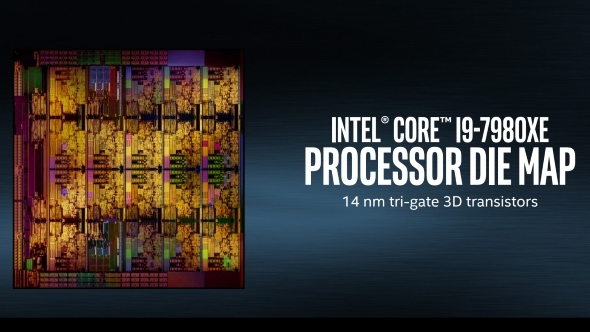 How low will Intel have to take the clockspeed to get 18 cores running effectively? You might point to the Xeons, where they go up to a heady 28 cores and 56 threads, but their 18-core variants have much larger package sizes than you can fit into the LGA 2066 socket, so we can’t rely on the Xeon Golds’ 3.7GHz Turbo speeds as much of an indicator. The answer, I suspect, will be very low indeed, taking the Turbo clockspeed down with it. But that’s if they want to shift tonnes of CPUs with guaranteed frequencies. If Intel massively limit the number of Core i9 7980XE processors they actually manufacture, then they’ll have a better chance of bin-sorting through their silicon and putting together the most stable, highest clocking cores into an exclusive run of hyper-expensive 18-core CPUs. 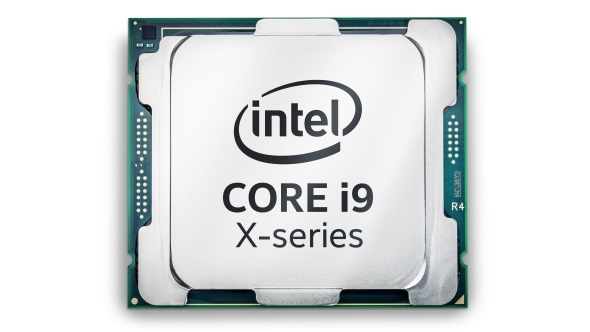 That way, they might stand a chance of topping off the Core i9 X-series range with a processor clockspeed that doesn’t look like it shuffled out of 2007. Then they’ll also be able to say they sold them all. Even if they just sell five. The other options are to either sell it as a very slow, but massively multi-threaded processor, or perform the most humiliating technical U-turn since Larrabee. Yes, Intel’s much-vaunted, oft-delayed, and eventually euthanised consumer graphics card still weighs like an albatross around their necks. Which is probably why they’ve got no option now but to push on, release the i9 7980XE in whatever form they can manage, and hope the ‘glued together’ AMD Threadripper chips also struggle with their all-core clockspeeds.